Dealing with love isn't easy, but most musicians will admit that love is a reliable springboard for songwriting. Sometimes the result are as messy as the relationships, but when the song and the performance click, the result is classic pop excellence. 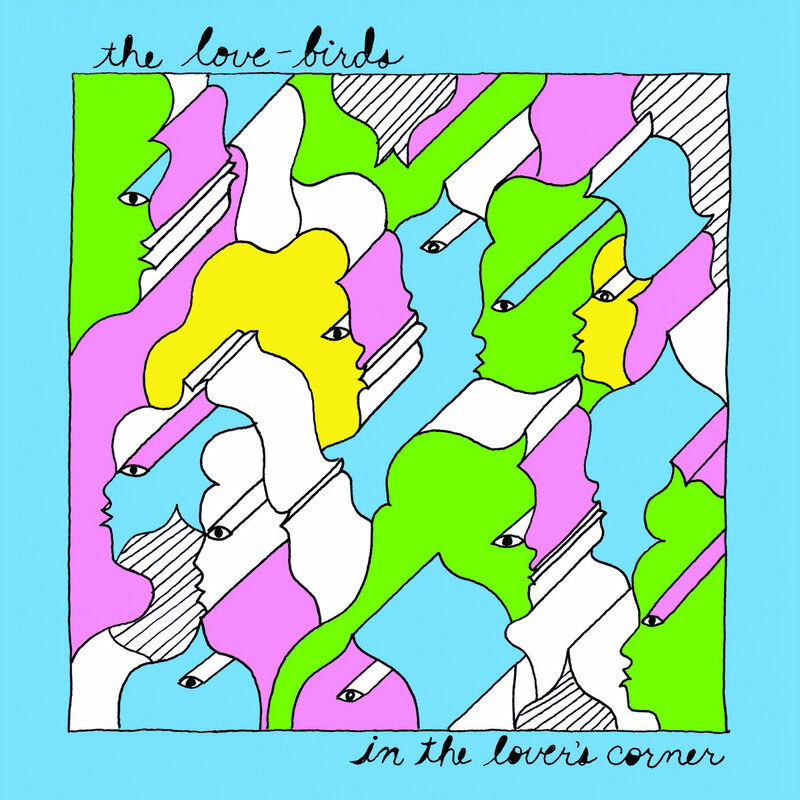 And such is the case with In The Lover's Corner, the debut album by San Francisco's The Love-Birds. The quartet evince a solid appreciation and understanding of their influences, and combine jangle pop, power pop and garage into a fluid and entertaining set of songs. Sweet hooks and Byrdsian jangle alternate with crunch and fuzz as the lads tell us what went right, what went wrong, and why they are often at fault. But while past lovers may assign blame in their direction, the listener will find no fault with this album. This is your power pop charmer of the week. The Love-Birds are Charlie Ertola (bass), Eli Groshelle (drums/percussion), Thomas Rubenstein (vocals/guitar), and Eli Wald (guitars). In The Lover's Corner is out now via Trouble In Mind Records. Loose Wing - "Heather Army" / "Blanket Skin"